At the core, buying and selling real estate is a business transaction to exchange ownership of a property. But, these transactions are complex and guided by local, state, and federal regulations. A commercial or residential real estate attorney with Goosmann Rose Colvard & Cramer, P.A. will assure your interests as the buyer or seller are protected throughout the process and that the transaction is legally compliant. But above all, we strive to make the entire transaction convenient and pleasant for everyone involved. To learn more about our services, contact our law firm today. 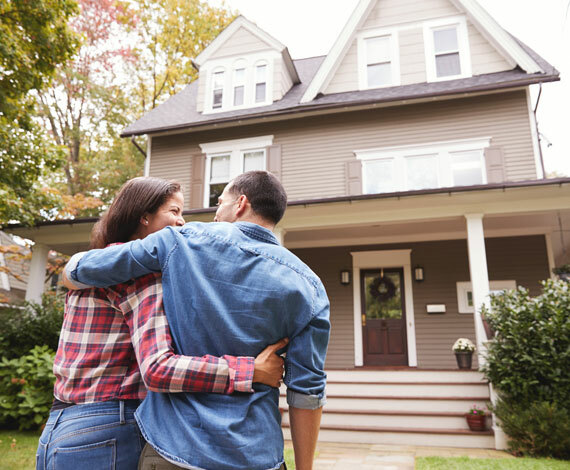 As the North Carolina real estate market continues to change, the assistance of a qualified attorney becomes even more crucial. Attorneys with Goosmann Rose Colvard & Cramer, P.A. provide skillful representation in all types of real estate transactions. It’s our goal to take care of all the details to make sure each client’s experience buying or selling real estate is exceptional and stress-free. What Does A Buyer’s Attorney Handle? Generally, a buyer’s real estate attorney reviews the sales contract to make sure the interests of the buyer are protected in the transaction. The attorney also inspects the property title and/or chain of ownership for any issues, liabilities, or liens that would preclude completion of the sale. Other documents reviewed by the attorney include those for the real estate transfer, property title, and home loan if applicable. The Seller’s Affidavit: This is a notarized and sworn declaration by the seller confirming your ownership of the property. It also details known and/or potential title defects, such as leases and liens. Transfer Tax Declarations: This document is required by most municipalities, counties, and states and discloses the purchase price which is used to calculate relevant transfer taxes. The Bill Of Sale: Any personal property sold with real estate, such as appliances, are listed in this document. The Deed: This document outlines the form of ownership for the property. It’s recorded by your local county recorder of deeds as the information is public information. The Note: These documents describe loan terms, how the debt will be collected or transferred, and details of the loan, such as total loan amount, initial interest rate, and how and when repayment of the owed amount is due. If the home loan is sold to another lender, the current lender provides the note documents to the new lender. The Mortgage: A mortgage document is an official record of the property acting as collateral for the buyer’s loan. It’s held along with the deed by your local county recorder. The Loan Application: Information initially submitted to the lender is compiled in a new form and provided to you for review. The Loan Estimate & Closing Disclosure: These informational forms aim to help you understand the loan transaction and your rights and responsibilities in the process. The property title, or title insurance commitment document, details property ownership and any liens or other title issues. A property lawyer with Goosmann Rose Colvard & Cramer, P.A. will examine this document to ensure the condition of the title meets the contractual obligation and lender requirements if applicable. What Does A Seller’s Attorney Handle? A real estate lawyer for a seller plays an equally integral role in the real estate transaction as an attorney for the buyer. Along with reviewing all necessary documents, such as real estate transfer and title documents, an attorney with Goosmann Rose Colvard & Cramer, P.A., examines and verifies the sales contract accounts for the best interest of the seller. They also make sure any necessary final payoffs are arranged for an existing loan and prepare required closing documents. Assisting with and finding a resolution to any issues with the property title. Buying and selling real estate takes place every day throughout North Carolina. Contact an experienced and skilled Asheville attorney with Goosmann Rose Colvard & Cramer, P.A. today.